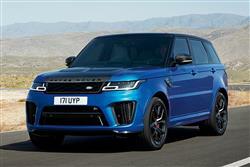 The latest Range Rover Sport SVR offers a smarter look, more power and even more luxury. The experts at Car & Driving take a look. 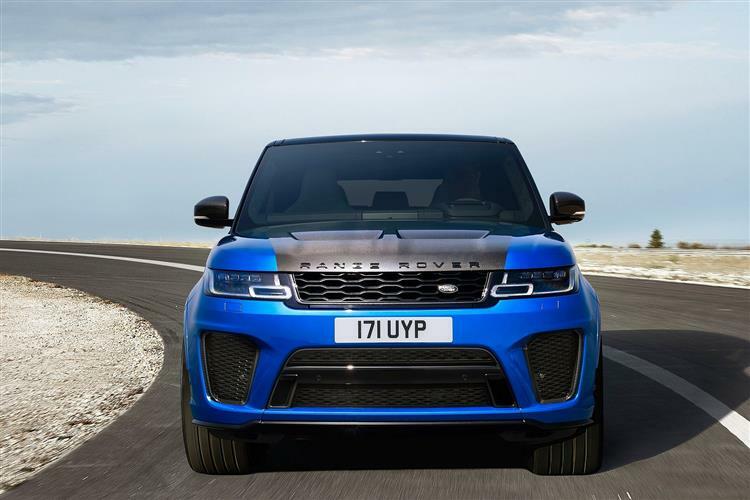 When Jaguar Land Rover opened its Special Vehicle Operations division, it was to build physics-bending cars like this: the Range Rover Sport SVR, now with 575PS on tap. With the performance to match a Porsche and the off-road credentials a Land Rover should have, this could be the most accomplished iteration of the Range Rover yet. When the Range Rover Sport came out in 2005, it offered the image, luxury and capability of a normal Range Rover, but with a sportier look and a lower price tag. It sold like there was no tomorrow. Now in its second generation, and selling as well as ever, a top performance version of the Sport has been deemed a necessary inclusion in the range. Land Rover gave responsibility for creating it to their newly established Special Vehicle Operations (SVO) division. The result? A 550PS monster to put the frighteners up the Porsche Cayenne GTS. This derivative has been badged the Range Rover Sport SVR and comes to market with an enormous amount of pressure on its broad shoulders. 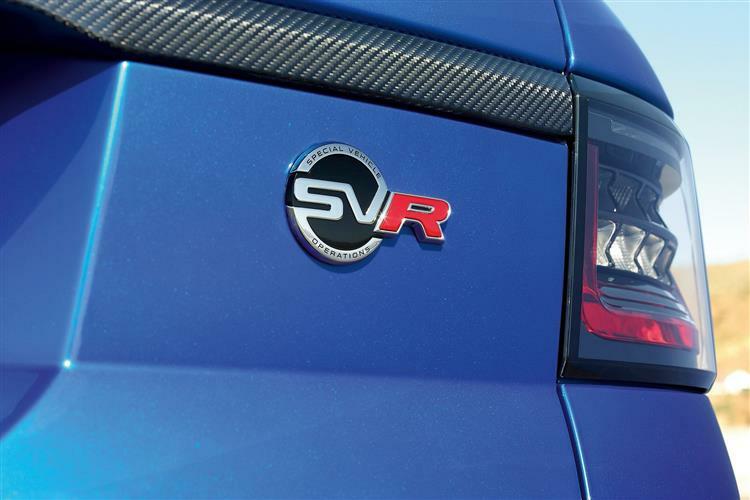 As the first car to emerge from the SVO department wearing the SVR badge, it not only has to set an example to all those that follow, but it also has to compete with Porsche's king of the performance SUV and live up to all that's expected from a Range Rover. Under the SVR's louvered bonnet lies the same supercharged 5.0-litre V8 you'll find in sister company Jaguar's F-Type R. Power has gone up by 25PS thanks to recent changes, so this luxury SUV now sends 575PS through all four wheels via an eight-speed automatic gearbox, taking this 2.3-tonne Range Rover from a standstill to 60mph in as little as 4.3 seconds. That isn't just fast enough to leave a Porsche Cayenne GTS for dead; it's fast enough to embarrass half the 911 range. It isn't like the SVR is a one-trick pony, either. While there's little this side of a supercar that can match it in a traffic light drag race, it should be able to cope when the road gets windy, too. There's a more driver-focused chassis and a new air suspension set-up, with Formula 1-style double wishbones at the front and a multi-link configuration at the rear, both promising much-improved handling. As a result, the SVR can lap the infamous Nurburgring Nordschleife in just eight minutes and 14 seconds. 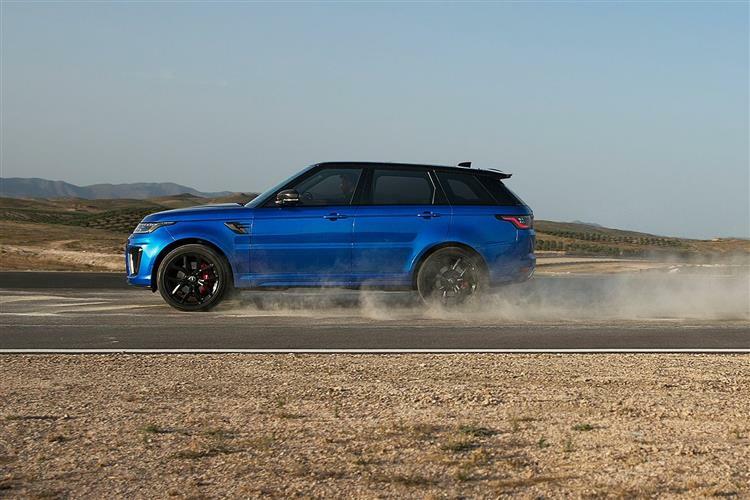 The SVR's off-road credentials are in no doubt either. With 21-inch alloys shod in all-terrain rubber, 21cm of ground clearance, an 850mm maximum wading depth, a three-tonne maximum towing weight and the clever Terrain Response 2 traction control system, it has all the capability a Range Rover should have. 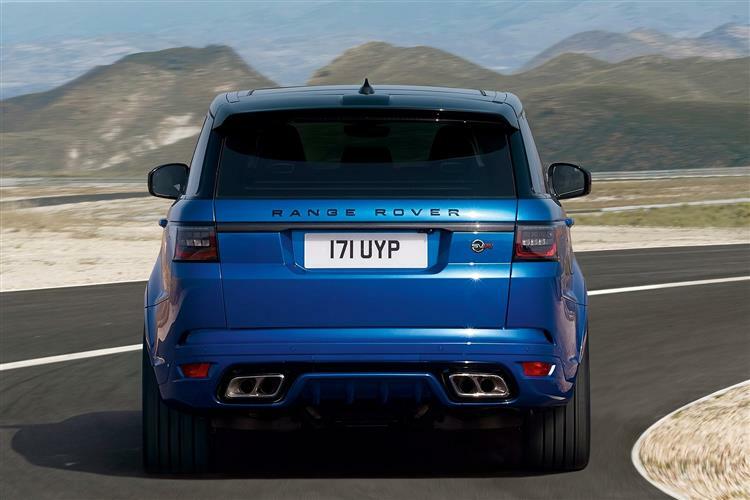 Set apart by gaping air intakes on the lower bumper, a deep rear diffuser and four exhaust pipes, there are definitely clues to show you that this is the hottest of all the Range Rover Sports. Minor changes have been made to the exterior styling of this revised model, with more piercing intelligent Matrix Pixel LED headlights sitting alongside a redesigned grille. There is, however, no change in the basic silhouette. There's no huge rear wing and the car doesn't ride so low that speed bumps suddenly become an issue, so there's a chance that the untrained eye might miss it. That said, whether people will see that you've bought the high-performance version or not is rendered immaterial by the fact that they stand a pretty good chance of hearing it. The SVR comes with a two-stage active exhaust with electronically controlled valves, which, to quote Land Rover "provides a race car-inspired soundtrack at higher revs", so if you try pulling out of a side turning in a hurry, someone's going to notice. 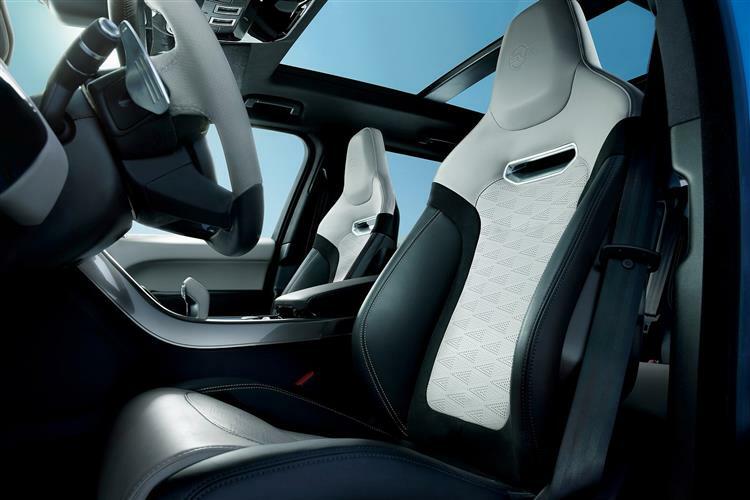 It's fairly obvious once you're inside too, because the cabin is dominated by two body-hugging sports seats wrapped in leather and carbon fibre-look trim accents are spread liberally throughout. There's all the space and practicality of the standard model of course and the boot is no larger or smaller than that of the standard car. No Range Rover Sport is what you'd call cheap: even the basic Si4 costs around £64,000. 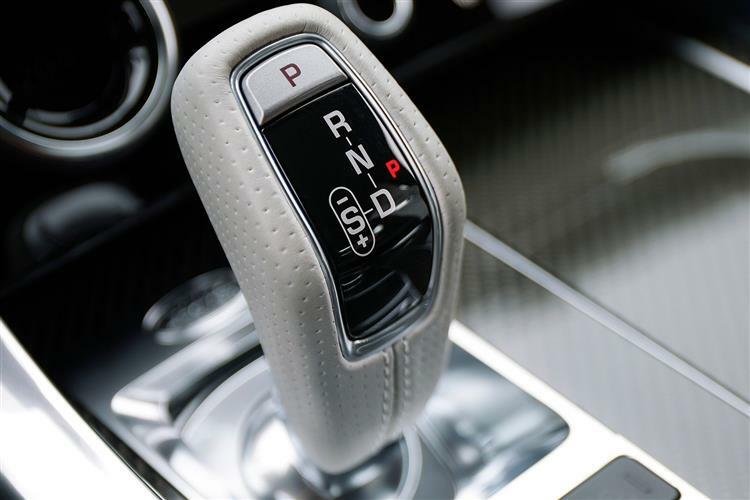 For the SVR, though, you'll be charged an even more mind-blowing price - around £101,000. That would buy you a very smart Jaguar or Porsche. 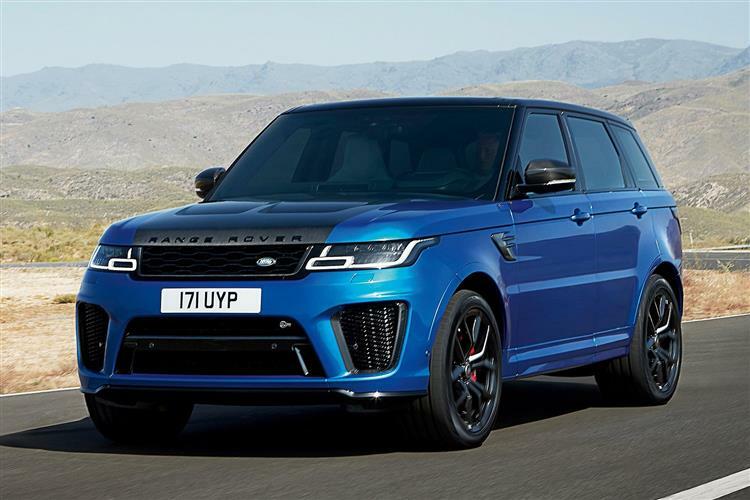 The Range Rover Sport SVR is only offered in one trim level, but you'll be glad to know that the spec sheet is fitting for a top-of-the-range Range Rover. As standard, you'll be getting 21-inch alloys, heated leather seats front and rear, an 825W stereo system, three-zone climate control, satellite navigation and a reversing camera, as well as a black-painted roof, automatic lights and wipers, blue Brembo brake callipers and a heated windscreen. Fresh technology introduced into this revised model includes two features we really like. First, the 'Gesture sunblind' which is opened and closed by an advanced gesture control system that senses an occupant's hand movement. All it takes to open the blind is a rearward swipe in front of the rear view mirror, and forwards to close. Also desirable are the 'Pixel-laser LED headlights': here, advanced technology provides greater luminance and intelligently blanks sections of LEDs to help to avoid dazzling oncoming drivers. We'd also want the 'Advanced Tow Assist' system. This takes care of the difficult counter-steering required to position trailers accurately when reversing. The driver can simply guide the trailer into the desired space using the rotary controller for the Terrain Response 2 system. There's a host of off-road systems too, designed to make your progress through the undergrowth as pain-free as possible. The Wade Sensing equipment can measure the depth of the water you're driving through and warn you if it's getting too deep, while the Terrain Response 2 system allows you to set the car up to suit whatever surface you choose to cross. Fuel consumption is predictably entrenched in super car territory, so if you're careful and lucky, you might manage the official economy figure of 18.9mpg. That equates to CO2 emissions of 290g/km, so road tax, or VED (Vehicle Excise Duty) as it's now known, will be digging into your wallet for the princely sum of £505 every year. Even everyday things like a new tyre will be expensive. If you're going to opt for the optional 22in wheels and the huge tyres that come with them, a flat will cost you about £250 in fresh rubber. At least residuals ought to be reasonable. Whatever the long-term costs though, there's no getting around the fact that this'll be an expensive piece of kit to run. With all the usual luxury and off-road ability we have come to expect from Range Rovers, plus the insane performance proffered by the supercharged Jaguar V8 lurking under the bonnet, the Range Rover Sport SVR makes a strong case for being the most complete Range Rover of them all. It can beat a Porsche 911 between the lights, it can go further into the Outback than most mid-sized SUVs and it can carry more people than a Mini Countryman. Yes, at around £100,000, it's pricey, and 22mpg might be hard to stomach for those more used to a Prius. Still, if your heart is set on a super car, yet the grown-up in you tells you that you need an SUV, the SVR allows you to have both in one. Plenty of petrol-heads have a dream-two, five or ten-car garage but the SVR may well throw all that out of the window by offering you nirvana: that perfect one-car garage.